Very many thanks and a huge thumbs up for last night. Once again, a marvellous performance from The Nightjars for which I have had lots of very positive feedback. Thank you so much for all of your efforts in orchestrating not only the band, but also the running order of the evening. I had so many guests wowing about the great sound that The Nightjars produce and we loved the 'mash ups'. Please thank all band members for their outstanding performances, your combined energy is amazing. Thank you so, so much. So many people commented how great The Nightjars were and our first dance was a highlight for both of us! From booking to the day you were supportive, helpful and couldn't have done more to create music that made the night memorable for every guest. Jenny & Graeme, Wharfedale Grange (www.wharfedalegrange.co.uk), March 2019. Can't thank The Nightjars enough. From the point of booking through to organisation and suggestions for sets they have been fantastic. The event was fabulous success the band being the highlight. All the feedback from guests has been amazing. Thank you so much for a fantastic evening. I have lost my voice with all the singing along on the dance floor! We all want to say a massive thank you to you, and your team, for Saturday night. 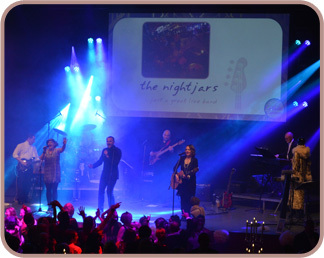 It was fantastic and everyone commented how much they enjoyed the [The Nightjars] band. You made it a great night. Mel, organiser, corporate private party for 66 people, Crosby Suite, Rudding Park Hotel (www.ruddingpark.co.uk), Harrogate, December 2018. Thank you to you and the rest of the Nightjars band for a phenomenal performance on Saturday - full of energy and very entertaining, especially the finale! I wanted to say a BIG "Thank You" to you and the entire Nightjars band for last Saturday night. You were brilliant. In addition, so many attendees complimented your band. I think you could tell that they would have stayed longer dancing! Thanks so much. The dance floor was full all night! Thank you. Our guests loved The Nightjars' live music! You made everything so easy on the run up to the event, created a set list that suited our audience perfectly and rounded off the conference in fabulous style. Alison, organiser, gala dinner for 380 guests at a national conference for an insurance company, Hall A, Harrogate Convention Centre , October 2018. Thank you so much to you and The Nightjars live band for being super helpful in the lead up to our event and playing fabulous music on the night. Kate, organiser, Bone Cancer Research Trust Ball for 450 people (https://www.bcrt.org.uk/), New Dock Hall Leeds (https://www.rai-events.co.uk/event-spaces/new-dock-hall/), October 2018. Thank you very much for supplying us with the most fabulous entertainment for our wedding. Everyone absolutely loved The Nightjars and you got everyone up dancing and having a wonderful time. Thank for being so thorough with every detail and always keeping us informed with everything, it was a pleasure working with you! Thank you for performing, you all were amazing and we have received brilliant feedback. I just wanted to let you know how pleased we were with your live music. Alice and Ed had a great time as was obvious to see and your music really helped the fantastic atmosphere. We all enjoyed working with you and won't have any hesitation recommending The Nightjars to other people. I loved the way the band kept on going and there were no gaps so people just stayed on the dance floor all the time which was brilliant. Thank you to you and The Nightjars, you were simply brilliant and everything that we wanted. Everything was perfect from you and the rest of the Nightjars team - you have complete empathy with what we're trying to achieve. Thanks again for your performance, as strong and as polished as ever. Simon, Vicky & Becky, organising committee members, 'Smile with the Stars Ball' for 400 people in aid of www.leessmile.com, Centenary Pavilion, Elland Road, June 2018. Thank you for your help with our amazing Almsford Community Fun Day. We think you went above and beyond to help us make the day run so well and, of course, The Nightjars being the all-important headline act that brought in the crowds. Thank you so much for putting on an incredible performance for our wedding! So many of our guests have already been in touch to say how much they enjoyed it and we couldn't be happier with the way it all went. We just knew The Nightjars were the perfect choice and you absolutely went above and beyond our expectations. It was so enjoyable planning the sets and choosing from the fantastic selection of songs, all of the organisation and communication in the run up to the big day was superb. Thanks again! Claire, private party for 100 people, Wedgwood Room, Old Swan Hotel, Harrogate, March 2018. Tamsin, organiser, private party for 70 people at HRUFC (www.harrogaterugby.com/a/hire-our-facilities-1871-venue-45357.html), Harrogate, March 2018. The Nightjars are excellent and made the evening, everyone enjoyed the music and dancing and for that I have to thank you and the other members of your band. As always a pleasure dealing with you. Huge thanks once, you guys were awesome. Every year you play at our Ball the dance floor is always rammed. I think this was your best year yet! So thanks for all of your hard work before the night and amazing energy and talent on the night! Thank you for another fab night! Fourth year now that we have used The Nightjars and every year they do us proud! Nothing is too much trouble and I can't thank the band enough! Thank you. The Nightjars were brilliant and it was great to see so many people on the dance floor. Nikki, organiser, Christmas Party for 120 people for a corporate client in the Churchill Room at the Crown Hotel (www.crownhotelharrogate.com), Harrogate. December 2017. Thanks. We had a great night. Feet hurt Sunday! I have had some lovely emails saying how amazing The Nightjars were and how you made the evening! Thanks very much again for your help and support in advance and on the night. We loved every minute of the evening and think everyone else did too! The music from The Nightjars was spot on as usual and I am sure we will see you again very soon! THANK YOU for everything you did to make our wedding evening the best party ever. You guys were INSANE!!! The amount of comments and compliments we have had about you since the day has been unreal!! You were so great to communicate with before hand and on the day your extra efforts to speak with us and just make us feel special really were noticed and very much appreciated. You really did go the extra mile. I've had such amazing comments about The Nightjars band. The dance floor was full all night! Well done you!!! Felicity, organiser of The BCRT Glitter Ball (www.bcrt.org.uk/get-involved/events-and-challenges/the-glitter-ball) for 600 people, Royal Armouries Hall (www.rai-events.co.uk/event-spaces/royal-armouries-hall), Leeds, November 2017. The Nightjars were absolutely fantastic! Many of our family and friends have said how much they enjoyed dancing to your music. My Dad also thought the band was fantastic and really enjoyed singing with you. Thank you so very much for everything you did for us on Saturday. We have had so many comments as to how fantastic the [Nightjars] band were - your choice of music, your dance routines and your overall professionalism - it was all just perfect. My cousin particularly commented on the music played during the meal - he said it was spot on, gorgeous music and perfect volume. I knew you would be fantastic, but we were absolutely blown away. Thank you so much to each and every one of your band. You were superb. Thank you for doing such a good job on Saturday night. You managed to pitch the music just right. An amazing time was had by all and we've raised an amazing amount for the charities. I look forward to working with you again. Thank you so much, you really did us proud. I would recommend The Nightjars live band to anyone, you were all superb. Sooooooooooo amazing! Thank you so much for making our evening so very special. We have had so many compliments about the band - you were on fire! Thank you, thank you, thank you. David and Kate, Aldwark Manor Hotel, York, July 2017. From start to finish The Nightjars were fabulous. The variety of live music was exceptional, the dance floor was buzzing and everyone had a great night. Thank you. Men's Captain, Pannal Golf Club, Summer Ball at www.pannalgc.co.uk, June 2017. Thanks again for a great evening. Your choice of music and your professional performance was much appreciated by all. You finished off the week for us perfectly. WOW what a day! Brilliant brilliant brilliant! We couldn't have done this without you. Thanks again. Brenda, member of the organising committee for the Glitter Ball in aid of Martin House (www.martinhouse.org.uk) for 530 guests in a marquee at Rudding Park Hotel, Harrogate, May 2017. Thanks so much! It was fabulous - lots of fantastic feedback once again from guests! What a great night it was, the feedback has been excellent, everyone made a point of saying how great the band were. You created such a great atmosphere. Many thanks for making Stephen's night so special. It really wouldn't have been the same without you all - the music was fabulous and it really brought the party to life. Top night - The Nightjars are awesome! Thanks so much for all you did! Thank you for making it special for us! Thank you so much for such a wonderful evening of fun and fabulous music. Everyone had a fantastic time. The Nightjars were absolutely outstanding on Friday night. We have had it confirmed by many guests, you were just superb. Not just from the music point of view, you were so supportive, adaptable and professional. A big thank you on behalf of the committee. You've been absolutely fantastic to work with and we have been really grateful for your insights on running events. We were really pleased with the way the room looked and a lot of that came from your ideas, so thank you. On the night, The Nightjars were as fantastic as ever and we loved the atmosphere at the end of the night, when the dance floor was quite literally bouncing! Thanks again for a great night. Thank you very much. The Nightjars were absolutely fabulous. I have had so many comments from my guests on how good you were. We had an amazing night which will stay in our memories for a long time to come. Thank you so much for an amazing performance at The Country Ball last night. You were the consummate professionals, brilliant musicians, lovely to work with and you had everyone dancing from the moment you started playing. I will undoubtedly be highly recommending The Nightjars. Had the best party ever! The Nightjars played for me on 5.2.05 and again 29.10.16! All anyone is talking about is the band! They will make your party into an unforgettable experience. We all had a great time. Loved the relaxing live-lounge during dinner and your main dance sets were brilliant as usual. We had the most unbelievable day and night. EVERYONE mentioned how amazing you were, what a good night they'd had and how their feet hurt but they wanted to keep dancing! The first dance was brilliant too. Thanks for everything. What a band! My daughter Caroline saw The Nightjars at a wedding in Yorkshire. When we arranged her wedding she was insistent that was the band she wanted. The only problem was that the wedding was at The Merchant Taylors' Hall in the City of London. Nevertheless the The Nightjars agreed to come South and play and were sensational. We have seen many bands at functions and events and we would go as far as to say that this is the best band we have ever heard. Nothing was too much trouble and the band's enthusiasm was infectious. Our guests never seemed to be off the dance floor and as one friend said �I didn�t want to leave the dance floor, I was too excited to know what the next number was�. Thank you all so much for making a special day in a special place so special. Wow - words simply cannot do The Nightjars justice. From start to finish they were incredibly helpful and nothing was too much trouble. The set list was amazing, the band's never-ending energy was infectious and people were dancing all night. A friend described the tunes as �all killers and no fillers!� It is now four weeks later and people are still telling me they were the best band they have ever seen perform. They even learnt our last dance for us which made it all the more special. 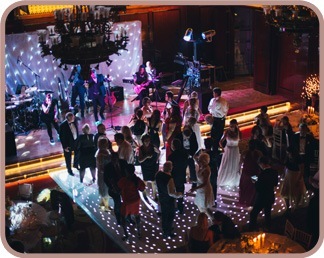 I can�t recommend this band highly enough, the organisation was seamless and stress free and they literally made our night so much more than we ever could have wished for. Thanks so much for your fabulousness on Saturday night. The music from The Nightjars was excellent and the effort and enthusiasm you all put into your performance was hugely appreciated. We've had loads of friends congratulate us on choosing such a brilliant band! Thank you so much for the party such a huge success. The Nightjars really made the evening. More than that your input in organising the timing of the evening made everything flow efficiently and easily. Thank you too for sorting out the uplighters and star cloth backdrop. They made a huge difference to the atmosphere of the room. People loved your quieter live-lounge music played through the meal and then the selection of dance music was ideal for a mixed crowd. Thank you for such a polished, professional performance and your kind and helpful suggestions in the planning stages. We really could not have found a better band. Thank you so much for Saturday evening. It was superb and I enjoyed every minute! All my friends thought The Nightjars were so good! Thanks for organising all the extra stuff too - star cloth backdrop, uplighters and projector. Thank you all so much for last night, it was a fantastic day all round and all our guests have told us how impressed they were with The Nightjars. It was amazing. I loved every minute on the dance floor! Thank you so much for Saturday night. Everyone had a fantastic time and it was great to see so many people dancing all evening. Once again The Nightjars were simply superb. Thank you to all of your team for another brilliant night, which hit the spot perfectly. The Nightjars were truly brilliant, thank you so much! The dance floor was absolutely packed and we had so many people coming up to us saying how great you were! You were faultless and we could not have asked for better. Thank you so much! We had a fantastic time at our wedding, we had so many compliments about The Nightjars, our friends and family loved it! You made our day really special! Thank you SO MUCH for such an incredible night. You were absolutely fantastic!!!! Everyone absolutely loved The Nightjars and people were on the dance floor all night. We are just delighted. The first dance was incredible and everything went exactly to plan. Thank you so much for all of your help and your organisation. We couldn't be happier. A huge thank you for your support at the ball! The Nightjars were fantastic and really got everyone into the party spirit! Thank you for making my party so special. Everyone thought The Nightjars were amazing! A huge thank you to you all for the most amazing entertainment last night! As I expected you were absolutely awesome and your songs and mash ups worked a treat! All of our guests were blown away by how exceptional you all were! Fantastic night! The Nightjars rock! A massive thank you to you and the rest of The Nightjars for being absolutely amazing at our wedding last week. Thank you. We had a fantastic night and you were all awesome. Thank you for the most incredible music you produced at our wedding. We have had unbelievable feedback. 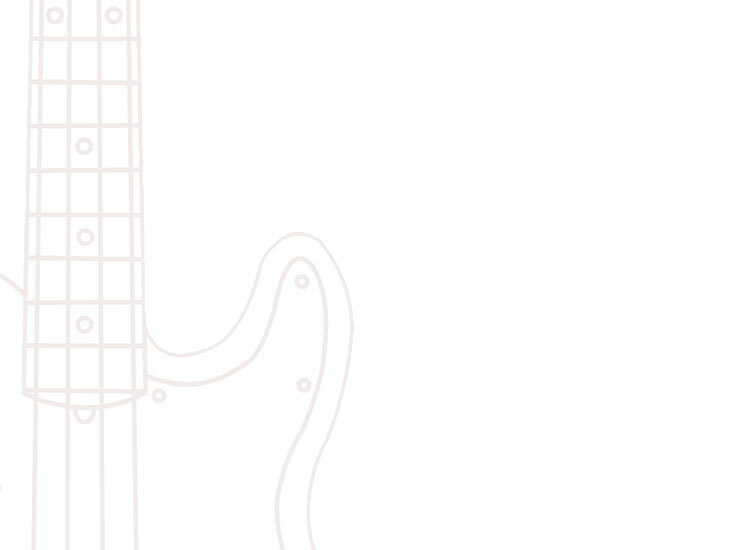 The music you played was spot on and we can�t thank you enough. The day was so amazing all the way through and you made the evening spectacular. Thank you, amazing as always and once again a lot of fantastic comments about The Nightjars. Thank you so much for making my party a fab night. You were all amazing. Everybody loved you. Thank you for entertaining us once again with your class performance. As usual you start playing and the dance floor is full till you stop. Sue, Harrogate Candlelighters Ball, The Royal Hall Harrogate, October 2015. Many thanks again for your contribution to last Saturday night�s event. We�re getting great feedback not least about The Nightjars! Thank you & your team for another great job. You were amazing and we had the most wonderful wedding party. The dance floor was full all evening and afterwards many friends told us that The Nightjars were the best band they had ever heard at a party! Thank you for being so professional but also for the personal feel you gave the party. You were all fun, smiley and really looked to enjoy the evening too which made such a difference to the whole atmosphere. Thank you so much for playing at our wedding. You absolutely took the roof off! Everyone loved your sets and had a fantastic evening. We knew you would be perfect for us and you were. Just wanted to say thank you for making [our] birthday party such a great occasion. 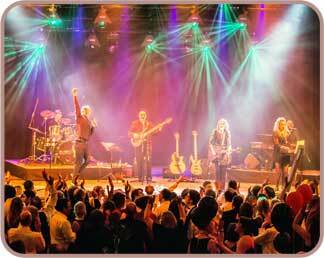 It was great to see everyone up and dancing and so many people commented on what a fantastic band you are! We had a fantastic day and your services were very thorough and professional. We have had many positive comments about you and have passed your details on. You created an amazing atmosphere and we couldn't have started our married life any better. A massive thank you for performing at our wedding. You were absolutely fantastic and created such a great atmosphere! Many of our guests commented on how amazing you were. Thank you for helping to make our day so special. It was a fantastic night and everybody commented on how good you guys were, thanks for everything! Ian, private party, Rothwell Holy Trinity Parish Hall, July 2015. Another great performance. Well done. Please pass on my thanks to all the band who were magnificent. You are a great band and a great bunch of people! Thank you very much for entertaining our guests last night. You were all fabulous. Thank you also for being so professional and accommodating. You are all so very talented and a pleasure to watch and listen to. Thanks to all your band, you really made the night! My sore feet and aches and pains are a sign that the music was just fab! Well it's all over now and we are still on a high. What an evening! All the pre-planning turned the event into a huge success and your calm professionalism was such a comfort to us. I think the audience spoke for themselves. It was the best night and I was so happy to see so many happy faces when I looked around. Please pass on my thanks to all your brilliant band members and to your sound engineer who worked so tirelessly all evening. Thank you all so much, you got rave reviews and made the evening brilliant! Thanks once again for coming and playing for our wedding reception. The Nightjars were absolutely superb - we, and everyone else, had a great time dancing, and we had loads of great comments about how good the band was. I just want to tell you all how thrilled we all were with The Nightjars performance. Everyone agreed you were once again superb and we were particularly impressed with the range of current songs in your sets. I judge the night's success by how many people danced on the carpet because the dance floor was full! A huge thank you once again. Many thanks for the brilliant performance on Saturday night - so many people have commented how fantastic it was! You were absolutely awesome and everyone has commented on how good the band were. You were absolutely fabulous again - everyone had a great night. Thank you so so much for such a fabulous night. Honestly, our guests were blown away by you and we had such a brilliant time. You made the night and we are very appreciative. So many people have asked us who you were and said you were the best band they had heard. Thank you for making last night so amazing. You were fantastic, everyone talking about the Nightjars this morning at breakfast. "Everyone loved last night, people are genuinely raving about the Nightjars, you guys were awesome. Thank you so much for making our party a huge success." You were on top form, as always, and based on the very full dance floor! Thank you! We had the most magical wedding day and The Nightjars played a big part in making it so. So many of our guests have commented on how excellent you were. I remember on a couple of occasions thinking that we were listening to the pre-recorded set list and then looking over and seeing you singing - it was absolutely brilliant. 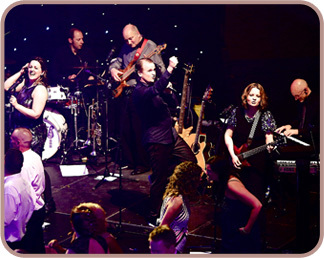 The music was always a big part of the wedding for us and we wanted to ensure we had a great band who got everyone onto the dance floor and kept the party going - you more than delivered on this! Thanks so so much for everything! You guys were just wonderful, totally! Thank you so much once again for delivering a first class performance, you really did excel, the feedback has been fantastic. You are all such talented performers! 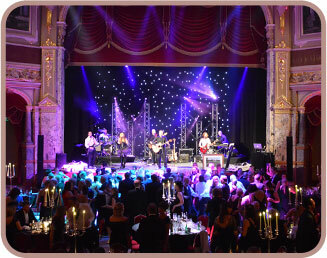 From the moment I made an enquiry with the Nightjars I felt confident that our group of 200 were set to have a fantastic evening in the Royal Hall, Harrogate. I received nothing but a professional, enthusiastic and excellent service throughout the whole booking process and also on the night. The performance throughout the evening was exceptional... The whole package that the Nightjars put together was exactly what we needed... Thank you for a wonderful evening! I have had nothing but great feedback from everyone! It was a great night, we were really pleased and I would have absolutely no hesitation in recommending you to anyone else. Thank you so much for playing for us, we had a wonderful evening and we have received lots of compliments on your behalf. It was so lovely to see the children enjoying the music so much too. You are great entertainers. Thanks so much. You guys were incredible and Issy playing violin with you on stage had people in raptures! The music throughout the wedding was so important to us and you guys really helped us achieve that. So many people commented about how fun the dance floor was! Thanks again and very best. A huge thank you to all for being so wonderful! You were all brilliant and rounded off the wedding perfectly, we thoroughly enjoyed dancing the night away. We have had loads of comments on how good the band were! You had organised it all perfectly and we were really impressed with how well it all ran, how good the music was and how it created such a great atmosphere! Thanks for your contribution to what was a fabulous evening. I have had nothing but genuine compliments since. The Nightjars live sets were excellent. Thanks also for your help on the night with the microphone. Well done and again my thanks. Just to say a massive thank you to you and the band. We had a perfect day and you guys were a huge part of that. Everyone commented on how good you were and it was great to see the dance floor packed all night. WOW what a fantastic night we all had. The Nightjars were fabulous! I've been inundated with messages of thanks and compliments on such a great ball so thank you for making the evening an enjoyable one! Another great night and as always the band was brilliant. We've rarely seen the dance floor so full or the members enjoying themselves so much. The Nightjars rock! Fantastic event last night and everyone enjoyed themselves. They were dancing on the stage and shouting for more at the end so I would take it from that it was a great show. Thanks for a great night. A quick note to say a massive THANK YOU. Everyone said how fantastic the Nightjars were - and we couldn't agree more, the party was amazing! Thanks also for all your hard work during the day with microphones, projectors etc - you really went above and beyond, and we appreciate all you did to make our day so brilliant. 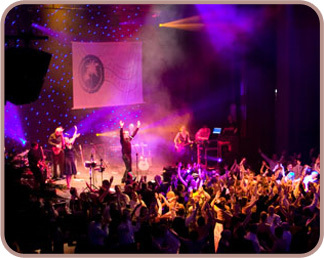 Thank you so much for all your hard work preparing for the Business Awards, and for playing so brilliantly on the night! I have had superb feedback on the evening - slick, well presented, professional, full of atmosphere... and you must share in that praise for a great delivery. A very very big thank you to you and the band. You were absolutely fantastic and everyone commented on how amazing you were. We had such a great time. Thank you. It was a great pleasure to have The Nightjars at our Ball. We have received so many lovely compliments about the band and the atmosphere was fantastic. Thank you so much for a great evening of entertainment and brilliant customer service. Thanks to you and all the band for a fantastic performance. There has been some great feedback. Thanks for a great night. You were quite superb. All our friends were so impressed with the music, and the play list. Thanks to everyone for making it a memorable night. Thank you for putting on a great show. It was an amazing evening and you had loads of guests up and dancing! I cannot thank you and the band enough for making our party such a success. I loved the playlists you put together. I also know how much effort and planning you put into the evening, which all made it a tremendous success. Please extend our thanks to all the band members for making our evening such fun! Just wanted to say thank you so much for everything you did at our engagement party - we had such a brilliant night! The music was amazing and it was a truly unforgettable night for us! Helen, organiser, 23 Club Ball, Majestic Hotel, Harrogate, March 2014. Thank you, you were brilliant and made the evening for us! "Thanks so much, you were fantastic as always!" What a fantastic evening! Thank you all so much!